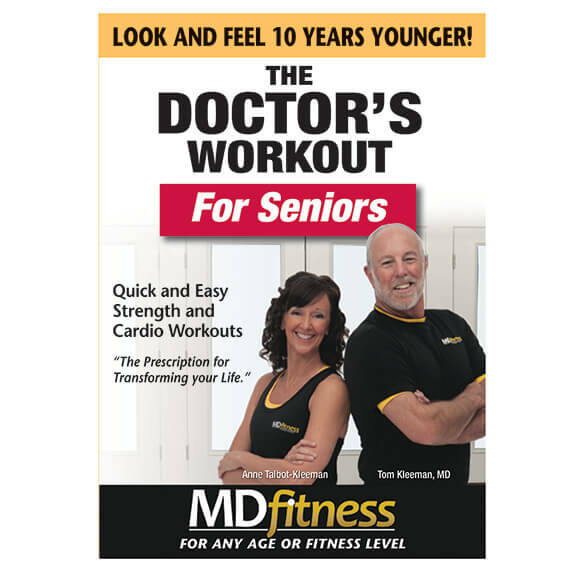 Dr. Tom Kleeman and fitness expert Anne Talbot-Kleeman have the prescription to help you look and feel younger with this The Doctor's Workout for Seniors DVD! Whether you've never exercised before or have given up your routine, The Doctor's Workout for Seniors will show you everything you need to get started or re-started on your way to fitness with simple, step-by-step workout routines. Consistent exercise has proven health benefits, and this senior workout video makes it easy to ease back into a routine and stick with it, right in the comfort of your own home.